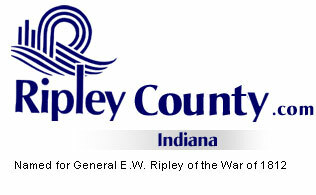 The Ripley County Council met on Tuesday, June 14thth, 2005 at the Ripley County Annex in Versailles, Indiana. Council Member Armbrecht made the motion to approve the minutes of the April 19th & May 5th 2005 meeting seconded by Council Member Dramann. Motion approved. Dramann abstained due to not being present on April 19th & Peetz abstained due to not being present on May 5th. Council Member Armbrecht made the motion to approve the additional appropriation of $22,992 from Re-Assessment Fund # 295-11311-000-046 /Shawna Bushhorn (to correct Budget error) seconded by Council Member Simon. Motion approved unanimously. Council Member Armbrecht made the motion to approve the additional appropriation of $3,797.94 from Cumulative Bridge Fund # 203-29400-000-033 /Highway Department seconded by Council Member Simon. Motion approved unanimously. Council Member Smith made the motion to approve the additional appropriation of $44,245 from Drug Free Fund #276-37550-000-276 /Sandy Howard seconded by Council Member Dramann. Motion approved unanimously. Council Member Dramann made the motion to approve the additional appropriation of $69.56 from Environmental Travel Fund #214-34803-000-035, $576.08 from Environmental Travel Fund #214-34802-000-034 & $220 from Environmental Registrations & Conference Fee Fund # 214-32720-000-034 /Pat Thomas seconded by Council Member Smith. Motion approved unanimously. Council Member Smith made a motion to approve the transfer of $1,604.35 from Fund # 214-11161-000-035/Public Health Nurse/Part Time Nurse to Fund # 214-36450-000-035 Public Nurse/Professional Liability/ Pat Thomas seconded by Council Member Dramann. Motion approved unanimously. Council Member Peetz made the motion to approve the transfer of $1,230.76 from Fund # 277-13300-000-045/Group Insurance to Fund #277-11260-000-045 Communication Director/ $1,013.96 from Group Insurance Fund# 277-13300-000-045 to Fund# 277-11261-000-045 911/Communication Assistant Director/ $934.80 From Group Insurance Fund # 277-13300-000-045 to Fund # 277-17307-000-045 Telecommunication Fund and $954.04 From Group Insurance Fund # 277-13300-000-045 to Fund # 277-17308-000-045 seconded by Council Member Smith. Motion approved unanimously. Judy Schebler, 911 Coordinator advised the council members that she would like to raise the 911 surcharge from $1.50 to $1.75 Schebler advised that if this passed she could take a person from county general budget and put into the 911 budget. Council Member Peetz advised that the 911 board were unanimous in their support of the raise to the surcharge and Commissioner Reiners advised that the commissioners had also agreed to the surcharge raise. Council Member Armbrecht suggested that the council wait until the budget is done for 2006 to vote on this change in the surcharge. After a short discussion Council Member Smith made the motion to raise the surcharge from $1.50 to $1.75 seconded by Council Member Peetz. Council Members Dunbar, Peetz, Smith & Simon voted to raise the 911 surcharge and Council Members Armbrecht & Busching voted against with Council Member Dramann abstaining. Ordinance #2005-7 didn’t pass due to a 4 to 2 vote. Schebler also updated the council members on the current radio system and the problems that they are experiencing. Schebler advised that she would like to have the consent from the council to proceed on getting a new radio system with money from the refund from the State. Council Member Armbrecht made a motion to direct the Auditor to advertise the additional appropriation for the radio system seconded by Council Member Peetz. Motion approved unanimously. Mary Ann Wiggers, Ripley County Economic Development Board updated the council members on the progress of the Versailles State Park Inn. Wiggers ask the council for their support and to consider property tax abatement for the new Inn at the Versailles State Park. Council Member Simth made a motion to support the Inn project at the Versailles State Park seconded by Council Member Peetz. Motion approved unanimously. Sally Morris, Ripley County Community Foundation presented the council with their annual interest check of $10,954.17 from the county’s endowment fund. Council Member Busching made a motion to table giving back the interest check to the Ripley County Endowment Fund until after the budget time seconded by Council Member Simon. Motion approved unanimously. Lifetime Resources presented a request that the council keep them in mind for the 2006 budget. Scott Melling, EMS Director and workers did a presentation for the council members on the EMS System. Several citizens signed the (Save the Paramedics) petition to the County Public Servants (County Commissioners & County Council) to do what is needed to keep this service. Council Member Armbrecht had some concerns as to what has happened with the lumber from the Busching Bridge Project and was advised that several had purchased the lumber. Economic Development –Mark Busching-meeting changed to a night meeting, talking to Plastic Molding in Osgood & UPS/Commissioners. Grants Committee – Donald Dunbar – Grants for Early warning system & radio equipment. Welfare Committee-William Dramann-presented a report for review. Council Member Smith made a motion to adjourn until the next regular meeting on Tuesday, July 19th, 2005 seconded by Council Member Dramann. Motion approved unanimously.